The cover price is $0.95 and other paperbacks of that price show publishing dates of 1972. 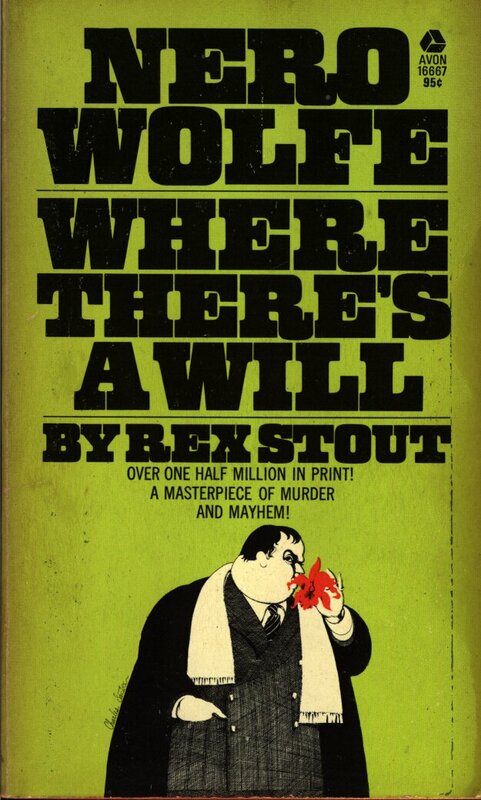 Other Rex Stout books that I have that were printed in 1973 were priced at $1.25. 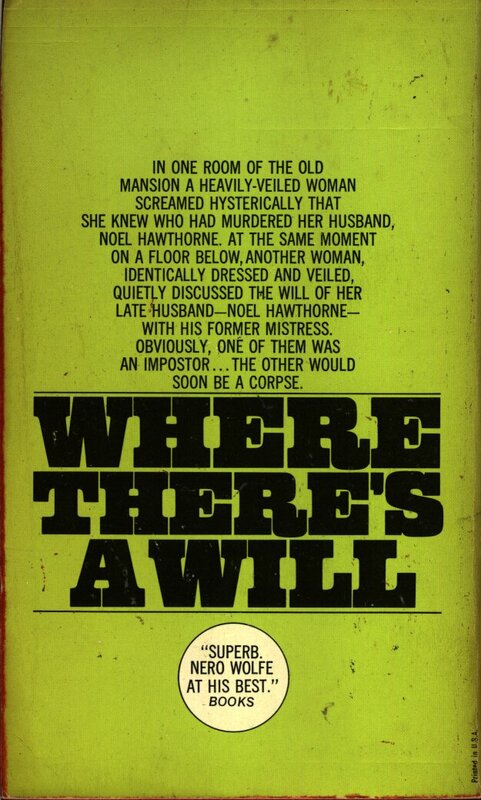 An online search for this title shows that the 6th printing Avon paperback was in put out in 1968. In one room of the old mansion a heavily-veiled woman screamed hysterically that she knew who had murdered her husband, Noel Hawthorne. At the same moment on a floor below, another woman, identically dressed and veiled, quietly discussed the will of her late husband — Noel Hawthorne — with his former mistress. Obviously, one of them was an impostor… The other would soon be a corpse.